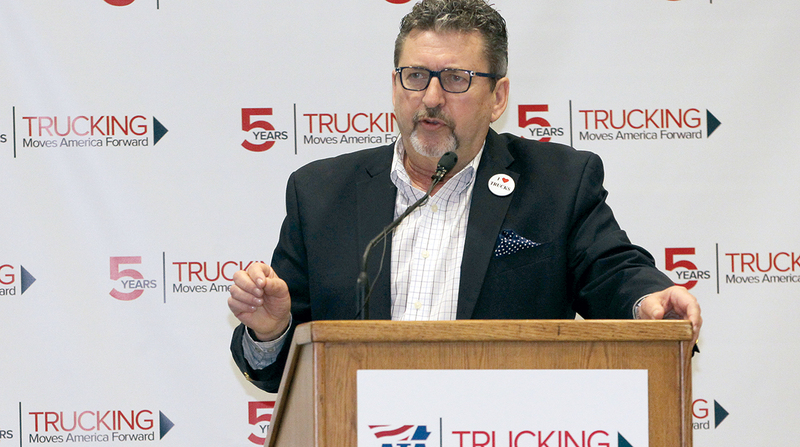 For each of the past five years, TMAF has raised about $1 million in donations, said Elisabeth Barna, executive vice president of industry affairs for American Trucking Associations. The group currently has $1.6 million in the bank, she said. The online survey, conducted by Public Opinion Strategies, surveyed 800 American adults with driver’s licenses from Feb. 14 to Feb. 18, and the results were compared with those from a replicated survey in 2015. 70% of motorists are overwhelmingly positive about the trucking industry’s safety record, the same as 2015. 57% of American motorists believe that trucks move more freight than railroads or airplanes, an increase from 49% in 2015. Though only a small percentage of motorists have seen, heard or read information about TMAF, of those who have, 83% have a more favorable view of the industry. Over the five years since its inception, the image campaign has amassed 200 donors, 3,410 e-mail subscribers, more than 16,000 Facebook followers, 4,500 Twitter followers and 1,100 Instagram followers. TMAF has installed 240 trailer wraps, moving billboards that promote the industry to millions of highway drivers.. The effort has generated more than 344 million advertising impressions and 200 earned media placements totaling 162 million impressions, Burch said. In 2018, TMAF earned 47 media stories and placed 11 op-eds, resulting in more than 35 million print impressions, and also made 254 million radio listener impressions. Last year, the group also made 35 million billboard impressions and 385,000 social media impressions during Truck Driver Appreciation Week.